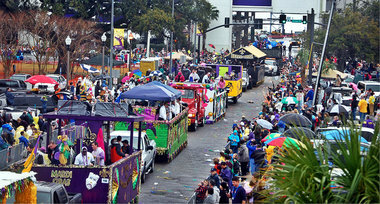 We have a lot parades rolling this year along the Mississippi Gulf Coast. Check out the list. 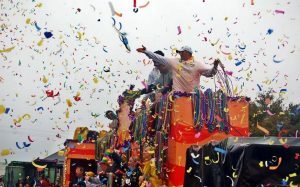 February 3, Biloxi Children’s Walking Mardi Gras Parade @ 10am, Krewe of Kids Bay St. Louis @ 11am, Krewe of Little Rascals in Pascagoula at 12noon, Krewe of Pine Island in Vancleave @ 1:30pm, Krewe of the Pearl @ 2pm, Carnival Association of Long Beach @ 6pm and Gautier Men’s Club @ 7pm. February 4, Krewe of Nereids in Waveland @ 12noon, Krewe of Barkloxi’s Bow Wow Paw-rade @ 12noon in Biloxi. 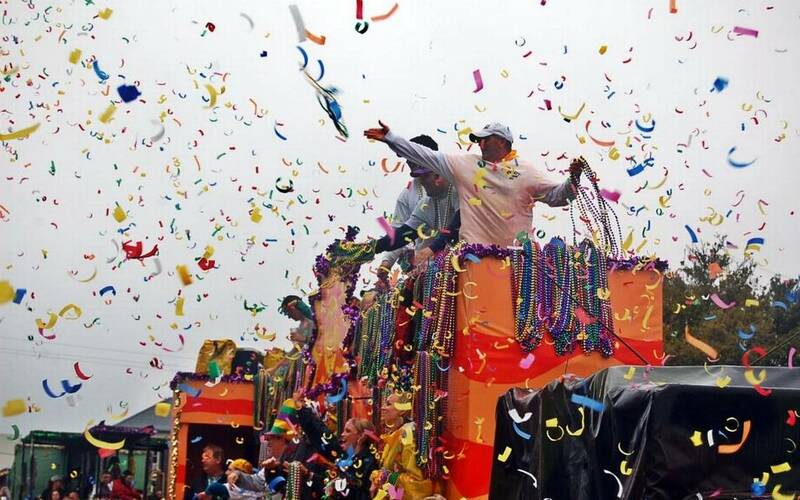 February 10, Second Liners Mardi Gras Club @ 12noon, Krewe of Diamondhead @ 12noon, Jackson County Carnival Association in Pascagoula @ 1pm, Krewe of Gemini in Gulfport @ 2pm, Krewe of Neptune in Biloxi @ 5:30pm, and Krewe of Salacia following the Krewe of Neptune in Biloxi. February 13, Gulf Coast Carnival Association in Biloxi @ 1pm, Krewe of Real People: The Next Generation in Bay St. Louis @ 1pm and the Krewe of Gemini in Gulfport @ 5:30pm.